A while back, the Aberdeen Group, published their “Lean Benchmark Report.” Of close to 300 manufacturers that participate in this study, 90% reported that they are committed to Lean. However, further analysis found that less than 20% of these companies can be considered best-in-class. The BASIC: Even with the best plan, successful lean manufacturing implement-ation will be evasive if there is not a genuine commitment to employee lean manufacturing training, multi-functional, self-directed work team development and empowerment. 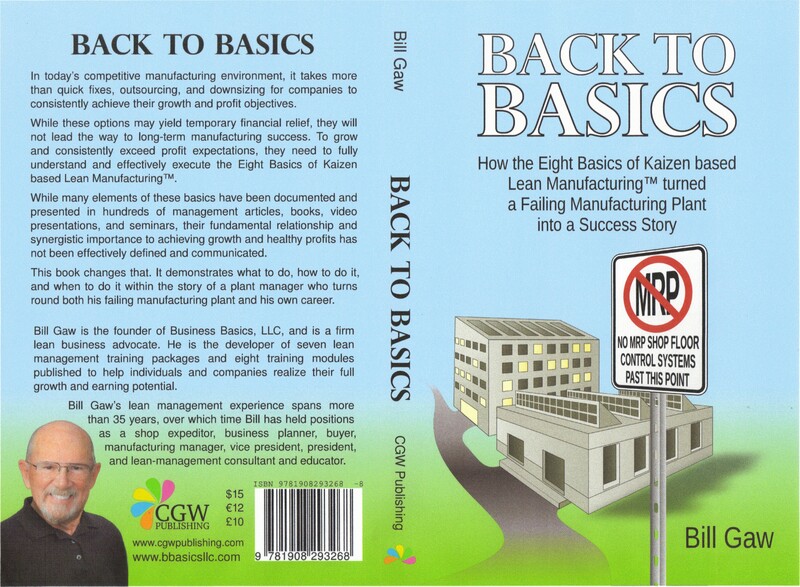 As an introduction to the 8-Basics of Kaizen Based Lean Manufacturing™, I recently wrote and published the below book. It's an info-novel that follows a plant manger as he turns a failing manufacturing plant into a success story. It's available at Amazon.com at an introductory price of $15.00.